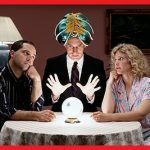 Take a look at the honest reviews and see why Oranum.com psychics should NOT be your choice for Psychic Readings! Learn More, Vote and Rate Yourself. Although Oranum has cool webcam technology (that they took from adult chat room websites they owned), we can say that Oranum has the worst psychic readers that you can find anywhere. If you want to save your money time and senses then you will do well to stay away from Oranum. This is one of the foulest companies that you can find anywhere. One just does not know what they are out to get. Too greedy: Having used Oranum for a good number of years one person said that she would never go back again. This is because although a few people at Oranum seemed sincere, there were far too many people there that were too greedy and very inaccurate in their readings. In fact, the numbers of accurate readers could be counted on one hand. Out to get your money: The worst thing about them is that they have plenty of ways to get your money and if you are not careful they will use every method to deprive you off your hard earned money. The worst thing is that if you make a complaint to them about this, they will not respond to you or they will tell you that your complaint has been passed on. Fake readers: Unfortunately, when you read Oranum reviews you are going to find that there is a lot more to come and none of it is flattering to Oranum. Their practices are illegal and fake! STAY AWAY!! - CONS: Stay away from them, all their employees are fake and illegal! You can find help everywhere except this place! I went there and these people didn't help me at all I saw how unprofessional they are and they even don't know what to do with their customers, they never give a refund so it's just time and money waste! DO NOT get a reading with either Naborara or Master Engima….they both live together. I have noticed on many occations that they have been in the same room just he camera angle is different so you dont see the other person. Why do you think they never have their sound on…they talk to each other if they are in the same room. Both say the same thing and try to push you to get a private reading. Very scripted!!! Again DO NOT get a reading from either of these men! have visited this site many times over the last 3 years. Spoken to many readers and members about their experiences. The site has a high turnover of psychics who come and go. The site encourages ‘sales tactics’ by psychics who always have to encourage/coerce/imply that a private reading would give them knowledge/advice or help that would fix their problems. Some of the worst examples of psychic practices include ‘i can heal anything’ by munum medium/graham elkin. I am 100% accurate by ‘tantra psychic’ and ‘munum medium’. Some of the best psychics i have met no longer work on there due to the constant churn of readers needed to fulfil oranums goal of getting clients to spend more money every month hoping that new readers would give them readings that would come true. In my experience advise given is not very good at all by many of the top rated ‘stars’ on there. Psychics should be less about predictions and more about guidance to help a person. Why would a person have a reading with munum medium, tantra, rock psychic, instapsychic, sensei, psychic sam etc? there is no point. because there is no accuracy. Take them to private chat and ask them why your needing help!. answers will usually be wrong. I had a reading with someone named Kydra. The first part was spent with her staring blankly at me. Then she asked me a lot of questions. I had computer issues, so the screen blanked out. When she finally got around to answering one question, the time was up. I paid for dead air, blank stares and the opportunity to type and retype information about myself. I got my reading but nothing came out correct so my money was wasted I really dont understand how under the pressure of being on line for quick reply they can be so connected with the spirits to be called as clairvoyant. to get in touch with spirits you have to meditate and call the spirits first and that cannot happen on line with camera on because your time is ticking and money as well. Allthough few word match with your situation but you have to give almost whole picture of the situation otherwise they do not know if they are talking about man or woman for a psychic it should not be the problem to see whom he or she is talking about. And worst things is you cannot recontact psychic if you have som complaint for that you have to pay another sum . I personally do not understand that how all youngsters sitting shouting giggling on webcam and claiming themselves as psychics it is kind of a joke it seems.